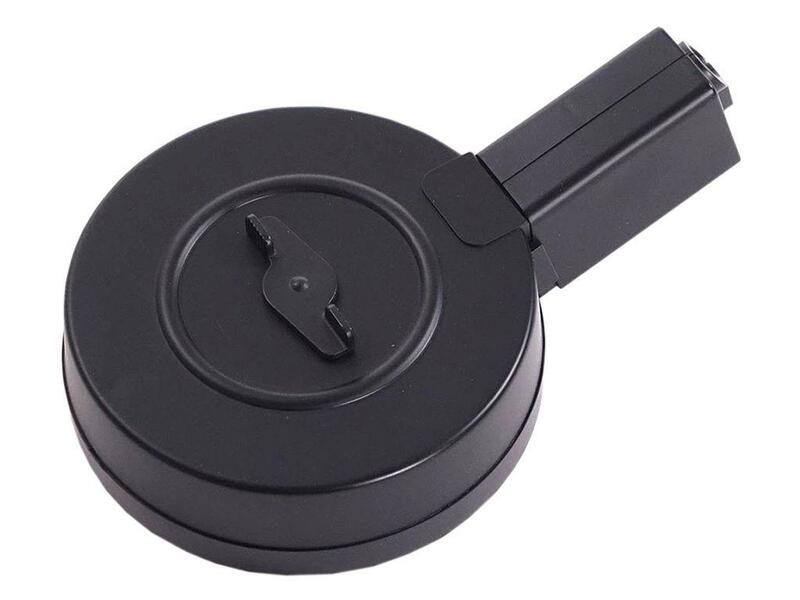 Echo1 GAT Electric Airsoft Drum Magazine |ReplicaAirguns.ca | New Website! Comments: Never run out of firepower in the field again! The high-capacity Echo1 GAT Electric Drum Magazine holds an impressive 550 rounds of 6mm airsoft BBs. Durable polymer construction ensures that this mag can withstand tough use. Compatible with the Echo1 Electric Submachine Gun.